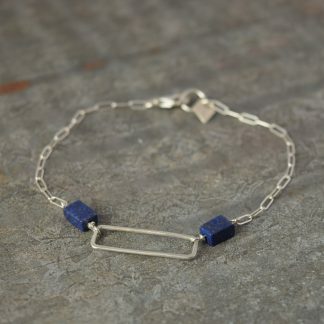 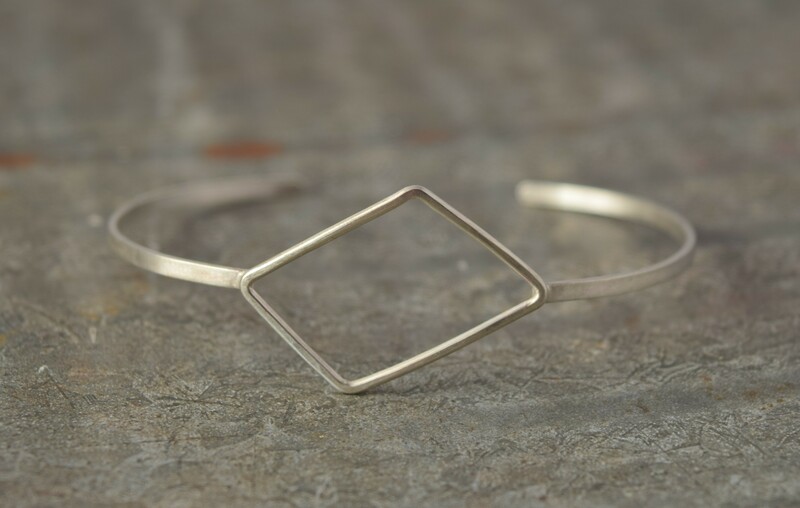 This cuff features the bold and eye-catching shape found throughout the Geometric collection, centered in an open cuff. 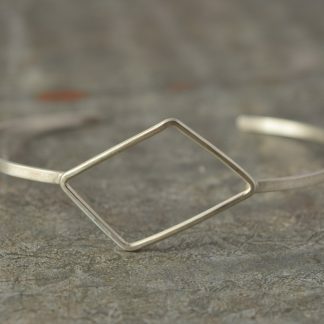 The base of the cuff is silver with the option of silver, rose gold filled, or yellow gold filled for the center shape. Cuff is approximately 6.5 inches with center shape being 1.25 by 7/8 inches.